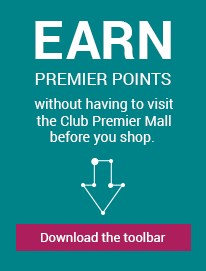 As a premium gifting web site, Giftcardmall.com offers online access to hundreds of the best retail branded gift cards like Nordstrom, Home Depot, iTunes, Starbucks and AMC. Special Terms: Member rewards are not available on gift cards for Hess Gasoline, Gulf, Safeway, BP, Best Buy, Gift Card Mall eGift, Arco, Target, Choice Card; or on Visa gift card, Visa purchase Fee, Customization Fee, Shipping Cost, or Tax. Purchases made offline are not eligible for rewards. Orders placed weekdays between 8AM and 5PM EST are typically processed within 24 hours of receiving payment. Orders placed over the weekend may take 48 to 72 hours to process. We cannot ship to P.O. boxes, only a physical address can be accepted. Your order will generally be approved within 1 to 2 business days. We then print your custom order and ship your cards within 72 business hours from receipt of payment. How long your order takes to arrive depends on the shipping method you select. USPS Standard Mail: Estimate 5-10 business days (USPS does not guarantee delivery dates for First Class Mail), USPS Trackable Mail: 5-8 business days, UPS Ground: Estimate 5-8 business days, Priority: 4-5 days, Express: 2-5 business days. Merchant eGift Cards will be delivered within 24 business hours from the time of purchase. Business days are defined as Monday through Friday, excluding holidays. We only accept debit and credit cards from Visa, American Express or MasterCard. All sales are final and we are unable to process returns.